Nancy Fane Strader, 76, of Blue Mountain Lake, died at home Wednesday, March 18, 2015, of pancreatic cancer. Born on October 31, 1938, at Boston Lying-In Hospital in Boston, MA, Nancy Barbara Fane was the eldest child of Ruth L. and Francis D. Fane of Newton, MA. While attending Boston University, she met and married Theodore C. Strader of Dayton, OH, an architecture student at Harvard University. They moved to Cambridge, MA, and had a daughter, Lynne, in 1958, and a second daughter, Jennifer, in 1962. The couple moved to Chevy Chase, MD in 1966, and welcomed their third child, Benjamin. With her children in tow, Nancy marched for peace and civil rights, campaigned for political candidates, and joined the emerging environmental movement. She spearheaded Genesis, a summer arts camp for children, and studied modern dance and yoga. At home, she loved to cook, knit, and sew. When her brother-in-law was married in 1971, Nancy made shirts and dresses for the entire wedding party. After moving to Bethesda, MD in 1971, Nancy returned to the workforce, part of a growing number of homemakers eager to make their mark. She became an environmental educator for the National Park Service programs EXPAND and Green Scene, and enrolled at Goddard College in Vermont, receiving her bachelor’s degree in 1975. When her marriage to Ted ended in divorce in the late 1970s, she moved to Capitol Hill, working as photo editor for Smithsonian Books. 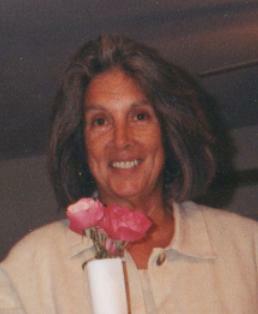 Nancy returned to Boston in the late 1980s to care for her aging mother. She settled in Concord, MA, and worked for Digital Equipment Corporation as photo librarian until her retirement in 2007. While in Concord she served as a Long-Term Care Ombudsman, and was part of the Walden Earthnet. When her mother died, Nancy was free to realize a lifelong dream—owning her own home. After spending a summer in the Adirondacks with her son and his family, she found a house in Blue Mountain Lake and settled in. She loved her adopted community; she made many new friends, served on several boards, volunteered for the Arts Center and the Indian Lake Theater, and worked part time at the Adirondack Museum. She was a trustee of the Indian Lake Library, and honed her writing skills with the Indian Lake Writers’ Group there. She started the Opera Club at the theater, and pitched in with the Indian Lake Garden Club. Nancy leaves a large network of friends and loved ones behind. All who knew her were inspired by her natural grace and beauty, resourcefulness, and honesty. Her closest friends were privileged to enjoy the unconditional love and loyalty that made her such a wonderful mother and grandmother. Nancy was predeceased by her father, Commander Francis D. Fane, and her mother Ruth L. Fane. Nancy is survived by: daughter Lynne Nathan and her husband Peter of New Paltz, NY; daughter Jennifer O’Hara and her husband John of Syracuse, NY; son Benjamin Strader and his wife Jamie of Blue Mountain Lake, NY; brother Bruce Fane and his wife Cheryl of Austin, TX; and six grandchildren: Lucas and Trevor Nathan, Thomas and Nolan O’Hara, and Anna and Jackson Strader. Donations may be made in Nancy’s name to the Indian Lake Theater (www.indianlaketheater.org), or the Adirondack Lakes Center for the Arts (www.adirondackarts.org).